We pay cash for any type/size of vehicle or machinery ranging scrap to fully operational. 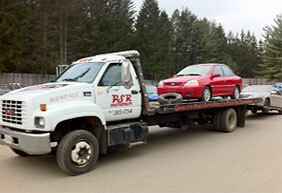 Port Sydney Recyclers is an environmentally responsible recycler of end-of-life vehicles. As a certified member of the Ontario Automotive Recyclers Association we professionally handle end of life vehicles including draining all fluids and removing mercury switches, to keep our environment safe. If you’re looking for fast and no hassle removal of your end of life vehicle then we can help.